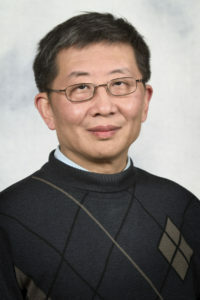 Dr. Hui Wang graduated from two prestigious medical schools (Shanghai College of Traditional Chinese Medicine & Shanghai First Medical College) in Shanghai, China. He came to the United Sates in 1992 on full scholarship to pursue a Master Degree of Educational Psychology at the College of Saint Rose in Albany, New York. After completing this program he joined the Florida Institute of Traditional Chinese Medicine and Suncoast Medical Center where he served as an Associate Professor and was a licensed Acupuncture Physician. In 2005 he completed Physical Medicine and Rehabilitation residency training at the University of Arkansas in Little Rock. Shortly thereafter, he moved to Tacoma, Washington and joined Electrodiagnosis & Rehabilitation Associates. In 2009, Dr. Wang became Board certified by the American Board of Physical Medicine & Rehabilitation. His current practice includes inpatient rehabilitation at St. Joseph Medical Center, involvement in the Tacoma Chronic Pain Program, and outpatient musculoskeletal and non-interventional spinal evaluation, treatment and rehabilitation. His clinic interests include an holistic and multi-disciplinary approach to adult rehabilitation and pain management with the goal to maximize quality of life, functional performance and techniques directed at narcotic reduction whenever possible.